Washington D.C. means different things to different people. 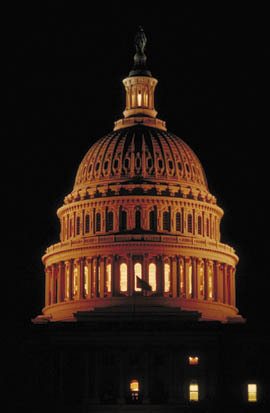 The nation's capital offers activities, arts and culture, fine hotels and more than 200 years of American history. The center of American politics, Washington D.C. is also a center for tourists flocking to the Capital Building, the White House, the Washington and Jefferson Memorials and two of the country's most visited sites, the Vietnam Memorial and the Smithsonian Air and Space Museum. Tours of the FBI building, the U.S. Treasury, the Capital, White House and dozens of art and historical museums are waiting for summer travelers. The silent rows of fallen servicemen and women wait in Arlington Cemetery under the watchful guard of the U.S. Army's "Old Guard", the 3rd Infantry Regiment, which also guards the Tomb of the Unknowns. Former presidents, astronauts, Medal of Honor recipients, generals and admirals are resting next to common troops. 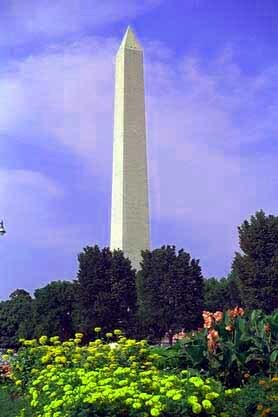 Visitors in Washington D.C. for the Fourth of July, 2000 might get lucky and witness the reopening of the Washington Monument which has undergone a multi-year restoration (see Washington Monument). Many of the Founding Fathers found the city's hot and humid summer climate nearly unbearable. The original plan for Washington D.C. was created by none other than Thomas Jefferson when he was Secretary of State under the country's first President, George Washington. British troops burned the White House during the War of 1812. President Abraham Lincoln was murdered by Rebel conspirator John Wilkes Booth during a performance at Ford's Theater. In fact, Ford's Theater still produces plays by American playwrights for the public. 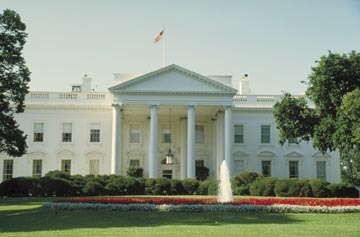 Washington D.C. has the history, culture, arts and entertainment for a perfect family vacation.